*** BOXMOOR LOCATION FULLY REFURBISHED THROUGHOUT *** The property will benefit from a new kitchen, bathroom, en suite to master downstairs WC and has been redecorated throughout with new flooring. This property will be in immaculate condition and ready to let in June. SPACIOUS 4 BED SEMI-DET FAMILY HOME. ENSUITE TO MASTER BEDROOM & BEDROOM 2. Lounge/Dining Room. CONSERVATORY. Fitted Kitchen. CLOAKROOM.Bathroom.Double glazing. Gas heating to radiators. 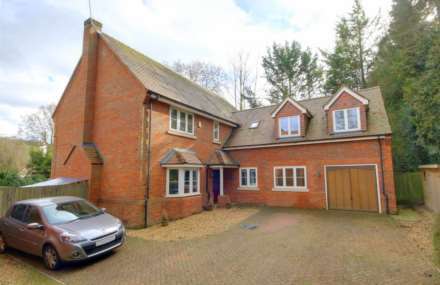 Convenient for Boxmoor `Village`,schools,shop & amenities. GARDEN. OFF ROAD PARKING. Unfurnished & Available NOW. ** SUPERBLY PRESENTED 4 BED DET EXECUTIVE HOME - ENSUITE TO MASTER - UTILITY - EXTENSIVE ORP - SECURITY ALARM SYSTEM ** Head of cul-de-sac situation. Bathroom. Lounge. Dining Room. Kitchen with integrated appliances. DOWNSTAIRS CLOAKROOM. garden. Double glazing. Gas heating to radiators. Highly individual 3 Bedroom Character Home conveniently located for Boxmoor `Village`, local shops, schools, amenities and main line station with links to London Euston. Dual aspect Lounge with cast iron feature fireplace. Dining Room /Sitting Room. Fitted Kitchen. Downstairs Cloakroom. Garden. *** WELL PRESENTED EXTENDED 3 BEDROOM SEMI DETACHED *** GARAGE AND OFF ROAD PARKING Accommodation comprises: Entrance hall, lounge, kitchen diner, downstairs WC, 3 bedrooms, bathroom, gardens, garage and parking. Unfurnished.